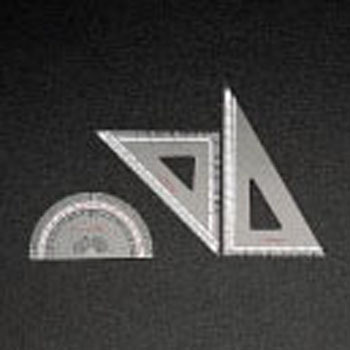 It is a set of ordinary protractor / triangle ruler. I think that there is no problem with the function. This review is about item#3578714.